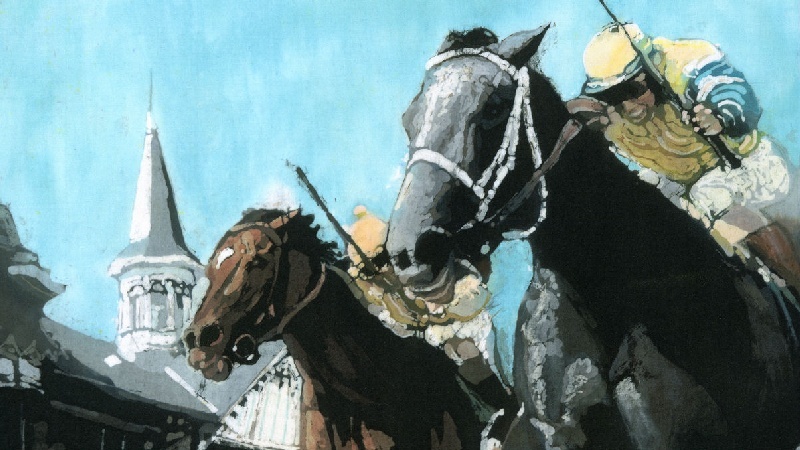 A batik painting of racehorses as they race to the finishing line at the Kentucky Derby in the USA. I did this picture for an exhibition entitled 'From a Different Point of View'. 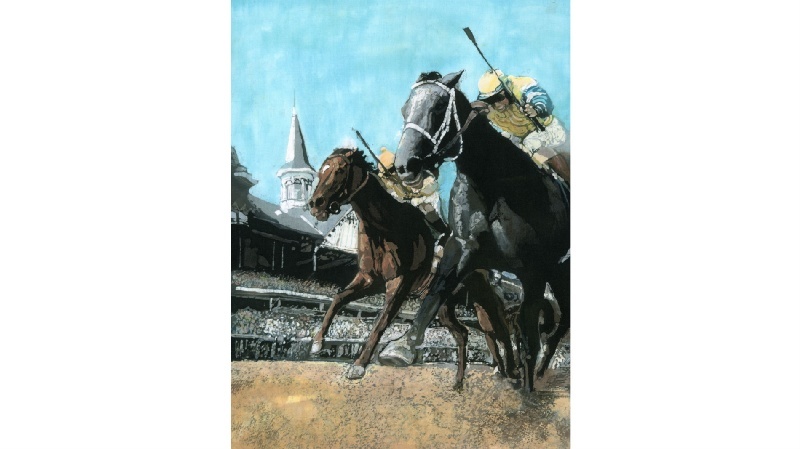 I saw this action photograph in a newspaper and decided that looking up from ground level at the horses' heads and jockeys was 'from an unusual point of view' and would be perfect for this exhibition - which it was.